This topic contains 7 replies, has 3 voices, and was last updated by John R 3 years, 10 months ago. On Woodrush, found by Dom. This topic was modified 3 years, 10 months ago by John R.
Given that, I can’t think of anything else it could be. Thanks Keith. I found a rounder example – it still comes out as 28.5 um. I double checked calibration and it seems OK. Thanks for this. 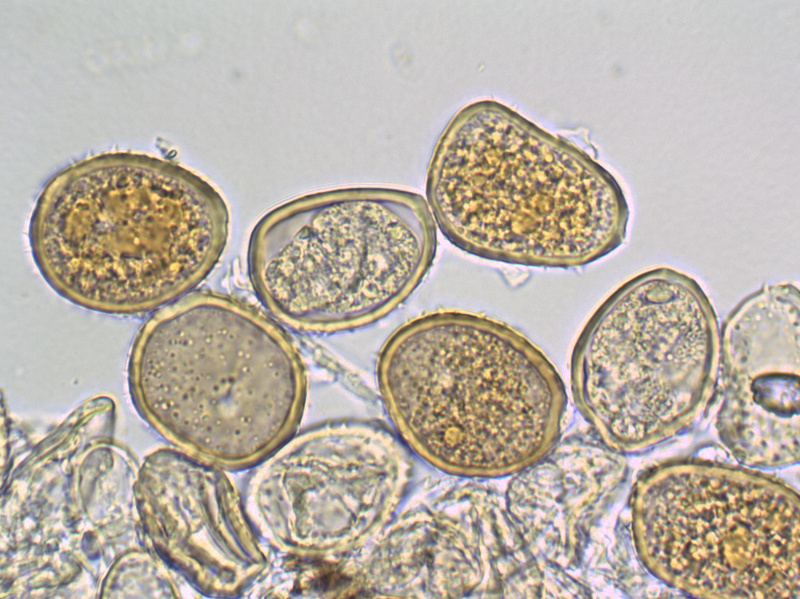 Unfortunately, unless these are conidial spores(?) they do not match P. obscura or P. luzulae (the two species in E&E on wood rush). Nor do they match P. poarum. Info on P. obtusa is proving elusive (two further species which have been recorded by the BMS on wr). Of these four rusts I have found info on three of them and they all have septate spores. One further thought; is this one of those species with the potential to produce as many as four different types of spore? It should be noted the finder was Gordon Beakes (Plankey Mill). Since John asked me to post this he has reminded me of uredospores. I had mistakenly concentrated on the teliospores. Of note, no matter how good E&E is it does not list every species recorded on any given plant. This reply was modified 3 years, 10 months ago by Dominique C.
Is it possible for an author to edit their own post after posting, if so how? Interesting, I have been able to edit this post but not the first (hence this additional comment). Don’t think it helps tho’. Yes, seems good to me. 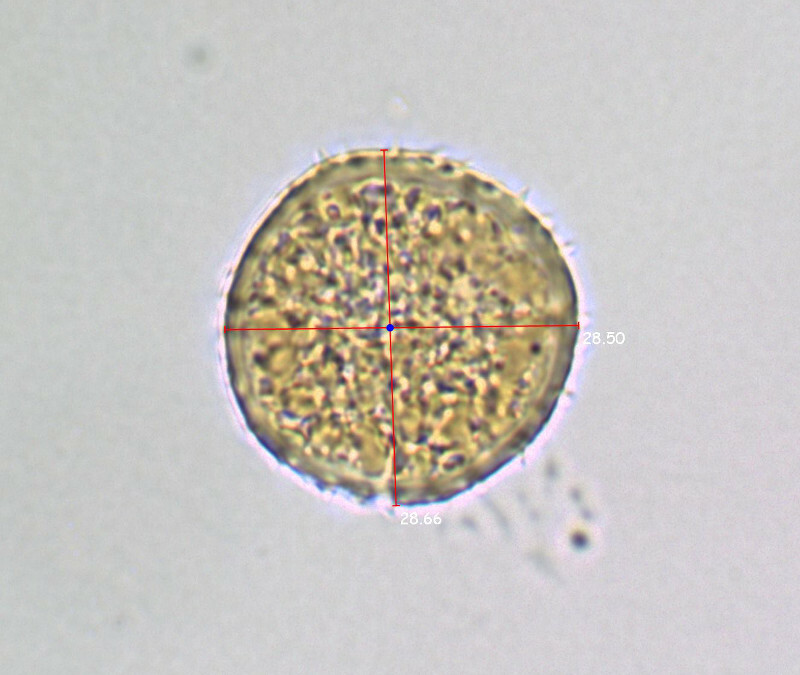 The spores are visually correct – just a bit larger than reported.